Two years ago I threw out the idea of making New Year's resolutions. My list of goals only seemed to be ideas in my head. I rarely wrote them down and if I did by the end of the year, I mean January, most of them were forgotten or not accomplished. When I quit the idea of resolutions, I began to focus on one word for the year. In 2014 my word was CHASE. In 2015 my word was BE. In 2016 my word is TRANSFORM. According to Webster Transform means: to change in composition or structure, to change the outward form or appearance of, to change in character or condition. While this may sound like a specific goal, its not. It is a word that will journey with me through the year. Who know what will change, but I look forward to unfolding this word in 2016. I am OCD, however in some areas it is an out of sight out of mind kind of thing. 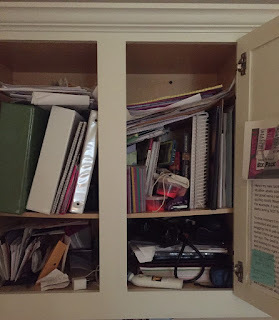 One area that I would love to change the appearance of, is the clutter that has taken over my cabinets, my drawers, my fridge, and many other nooks and crannies. Do you see the bend in that shelf?? 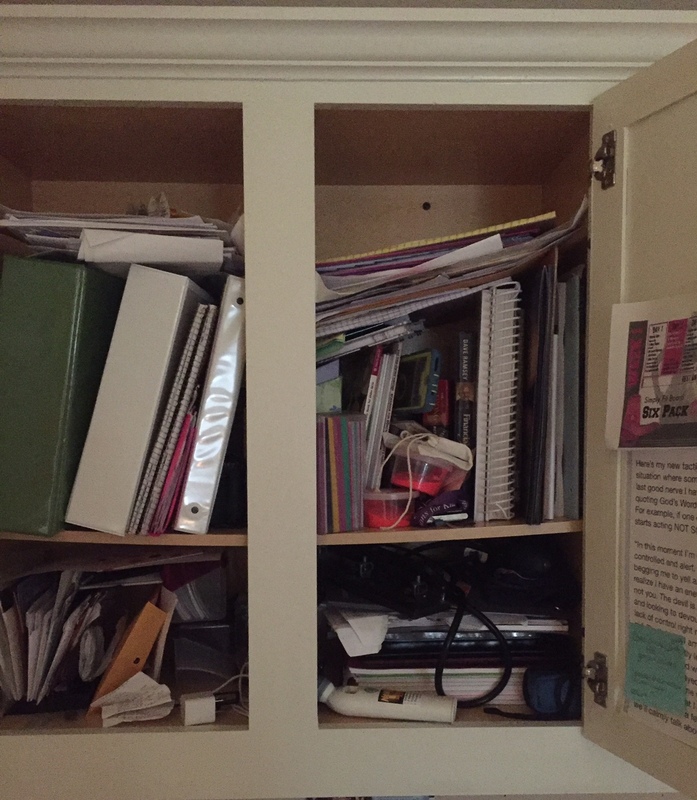 I seriously need to transform my clutter!!!! I want to continue to learn more about putting words together, therefore transforming my writing. I would love the appearance of our finances to change. And of course I want to continue to transform my health - (that's a blog post coming soon). I also pray that I transform to be more like Jesus. As I focus on this theme/this word I look forward to what God will do as I dive onto His word with my new bible and begin 2016. Focusing on one word for one year takes the guilt out for me. There is no specific goal, just one word, for one year. I can't wait to see what transforms.